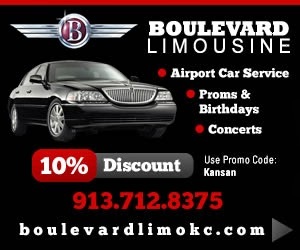 KANSAS CITY, KAN. ----- Lackman Road to eastbound I-435 entrance ramp will be closed, 24/7 round the clock, for full ramp reconstruction work beginning at 10 p.m. on Thursday, August 13 and will reopen to all traffic on Sunday, November 1, weather permitting. Advance message boards will alert drivers to the ramp closure. A marked detour will be provided (see detour map above). 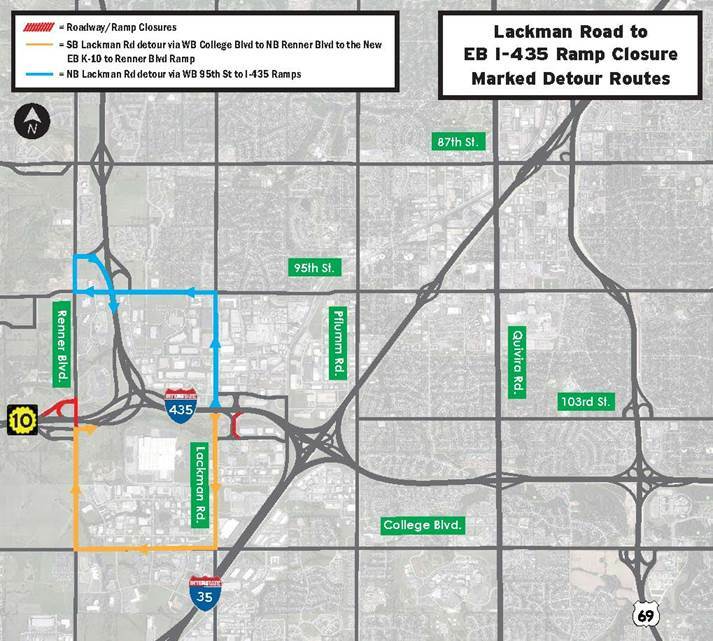 Southbound Lackman Road ramp traffic will detour via westbound College Boulevard to northbound Renner Boulevard to the new Renner Boulevard to eastbound K-10 ramp to access eastbound I-435. An optional recommended detour route for southbound Lackman Road traffic is eastbound College Boulevard to Quivira Road to access eastbound I-435. 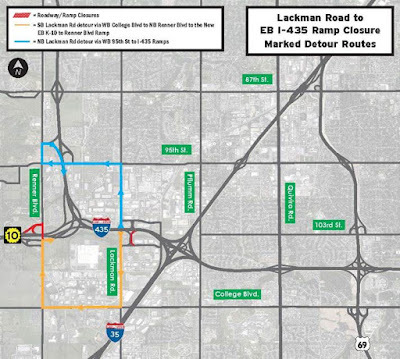 Northbound Lackman Road ramp traffic will detour via westbound 95th Street to access the I-435 ramps.